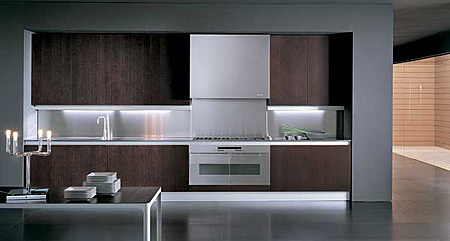 Continua is a solid kitchen and light at the same time. 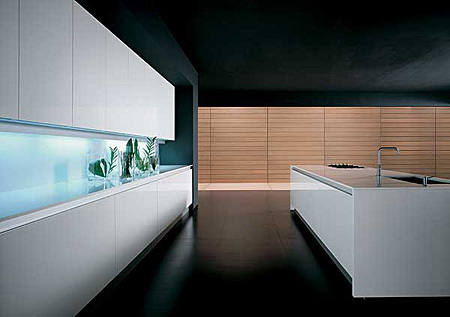 Large boiserie with airy thin shelves and hidden lights that emphasize the original design. 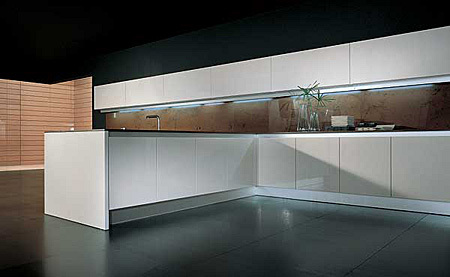 The wide groove, very useful for the opening of the doors, shows a sign of character that colours the choise of the different finishing. 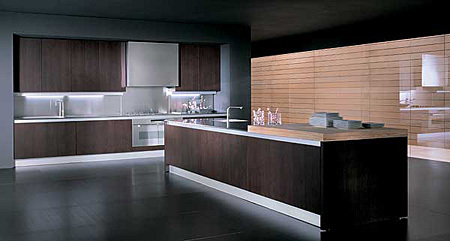 Materials and colours of the doors and tops satisfy new trends without "classical" finishes.